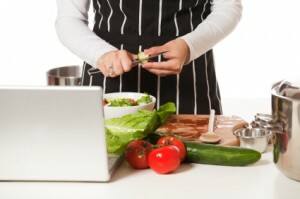 Welcome to Blogging for Foodies! I am a recipe developer, food writer, and a blogger. You notice blogger is last on that list. That is because it is the last skill I acquired. Creating recipes is second nature to me, but creating a blog and developing a brand were hard learned and learned the hard way. My goal is to share what I have learned about blogging with my fellow foodies and hopefully spare you from some of the mistakes that I made. I hope to make it easier for you to create and grow your blog by breaking down the process in easy to understand steps. I promise to speak foodie to foodie and not slip into tech talk unless it is absolutely necessary and even then I will do my best to provide a translation. Right now, I am busy creating a design and layout for this blog. I am recording all of the steps so that I will be able to share them with you in the near future. I hope you will visit again once this blog is up and running!